We’re here to help, the easy way. Get a fast, hassle-free, secured loan up to $3000. It’s money made easy. 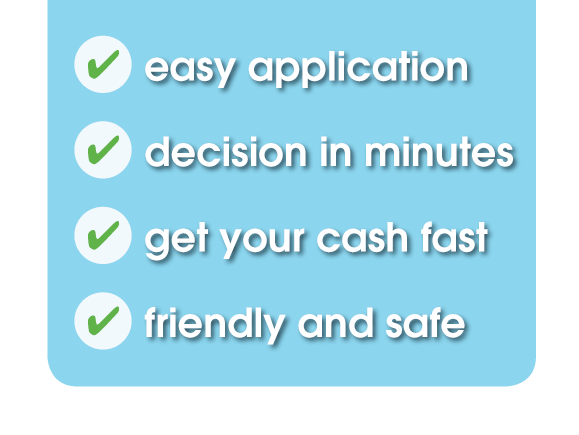 Applying with Today Loans is very simple and very quick! Just click ‘apply now’ – fill out the form – upload your documents… and away you go! Are you tight on time as well as cash? Get things moving in a matter of minutes with our 24/7 on-line application. At home, work or on the move its super easy to apply online with your PC or any mobile device – you don’t even need to talk to us. But if you do need a hand, just call. Once approved, we’ll transfer the cash direct to your bank account – so you can access your money within hours (in most cases). It really is that easy with Today Loans! There are No Fees on Application on this website. Today Loans does not perform a credit check until after a professional lending consultant has spoken directly with a client, our lending consultants do not request any personal information such as Date Of Birth and Physical Address to complete a credit check. Financial Implications – Non Payment may result in additional fees being imposed, although these will always be disclosed to you before you enter into any loan agreement. Mis-Payment Fees can range from a minimum of $25 to a maximum of $60. Default fees may also be imposed to a maximum of 200% of the original loan value, these fees will be discussed with customers before loan applications are processed. Collection Practices – Today Loans prides itself on being an approachable company, bound by its Hardship Policies which are in accordance with government recommendations. Collection policy will always be disclosed to you before you enter into any loan agreement. Please contact us as soon as you become aware that you may not be able to make a repayment, to make alternative arrangements with our loan consultants. Non Payment can affect your credit score/history and your ability to borrow in the future. Repayment period: Minimum repayment period is 6 months, maximum repayment period is 36 months.